In 2012, Jennifer Doudna and Emmanuelle from UC Berkeley first filled patents on using CRISPR/Cas9 gene editing in small organisms, like bacteria. In 2014, two years later, while the UC Berkeley patent application was pending, Feng Zhang’s team at the Broad Institute of MIT and Harvard filled a rushed patent on using CRISPR/Cas9 gene editing in more complex cells, which was approved in 2017. The UC Berkeley team then filled appeals to invalidate the Broad patent. In 2017, the Patent Trial and Appeal Board voted that the Broad application is unique enough for its own patent. Even though UC Berkeley team can appeal this decision to the US Supreme Court, it is unclear whether the Supreme Court will accept this case. Could Cellectis upend CRISPR patent drama? Cellectis’ patent covers all gene-editing technologies that depend on chimeric endonucleases to alter and repair DNA, providing the DNA sequence has at least 12 base pairs, and only for in vitro applications. Cellectis CEO Andre Choulika says that this definition “covers most of the gene editing procedures done with a nuclease,” including those based on CRISPR/Cas9. Last week, attorneys for the Broad Institute in Cambridge, Massachusetts, one of the research organizations vying for CRISPR rights, submitted motions that could let it win even if it loses. On 28 September the Broad Institute asked patent office officials to separate four of its issued patents from the case. The Broad [Harvard+MIT] holds 13 CRISPR patents that are under fire from the University of California (UC) and two co-petitioners. Yesterday, a new player in the drama, a French biopharmaceutical company called Cellectis, may have made the whole fight moot, revealing it has just been issued patents that it says broadly cover genome-editing methods, including CRISPR. Doudna, Charpentier, and their team reported in the 28 June 2012 online issue of Sciencethat they had taken a CRISPR system used by bacteria to thwart reinfections with viruses and created an artificial version that showed the components needed to edit genes. Zhang’s group at MIT/Broad reported in the 15 February 2013 online issue of Sciencethat CRISPR worked in eukaryotes. On March 17, judges from the US Patent Trial and Appeal Board (PTAB) issued rulings on a number of motions put forward by lawyers for UC — the senior party in the case based on theirunawarded patent application‘s earlier filing date — and the Broad, which holds more than a dozen patents related to CRISPR, including the keystone Patent No. 8,697,359 (the ‘359 patent). The invention provides for systems, methods, and compositions for altering expression of target gene sequences and related gene products. Provided are vectors and vector systems, some of which encode one or more components of a CRISPR complex, as well as methods for the design and use of such vectors. Also provided are methods of directing CRISPR complex formation in eukaryotic cells and methods for utilizing the CRISPR-Cas system. Zhang and Broad will hope that question never comes to bear. If Broad can win the argument that there’s actually nothing to any of the interference claims, the process will be over before it truly begins. But beyond that, it’s almost impossible to predict how the fight will turn out. Any number of permutations and combinations of arguments could wind up going forward. What the early judgments show is that it’s far too early to begin keeping score. In the bigger picture, Sherkow stressed that the patent interference is really only suitable to address whether there is a conflict between the two parties. “It is not a referendum on the scientific priority of the dispute, it’s not a referendum on the merits of [Broad’s] patents,” he said. “It’s not even a referendum on whether CRISPR should be patented at all,” he said. The USPTO has awarded the Broad Institute more than a dozen CRISPR-related patents based on the work of Feng Zhang, a core faculty member at the Broad Institute and assistant professor at the Massachusetts Institute of Technology, and his colleagues — notably Fei Ann Ran, a postdoc in Zhang’s lab. The University of California submitted its patent application first, based on the work of UC-Berkeley Professor Jennifer Doudna and Emmanuelle Charpentier, then at Sweden’s Umeå University; however, the Broad application was reviewed and awarded under the USPTO’s “accelerated examination” procedures. 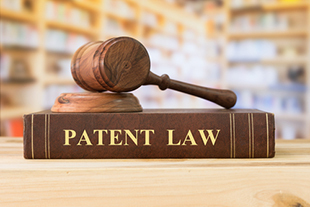 In a statement, the Broad Institute said that by awarding US Patent 8,697,359 to the Broad, MIT and Zhang, the USPTO “was fully aware of and fully considered the claims and materials in the other patent applications,” including UC-Berkeley’s. The University of California’s patent application claims a priority date of May 25, 2012. Administrative Patent Judge Deborah Katz will manage the proceedings. Vedder Price will act as counsel to the Broad Institute. Buchanan, Ingersoll & Rooney and Goodwin Procter will serve as counsel for the party led by the University of California. The parties will participate in an initial conference call on March 9. According to the USPTO, the senior party — the University of California — is responsible for initiating settlement discussions. “Interference — Initial memorandum” is a higher level of adjudication, known as interference in PTO-speak, only takes place when a challenger has made a strong argument that the PTO should reconsider a granted patent. Doudna and company, in this case, are the challengers. The patents they want re-examined belong to the Broad Institute of MIT and Harvard and the principal Broad scientist Feng Zhang. The PTO granted Zhang and Broad the first-ever CRISPR patent in April of 2014, with a dozen more to follow. The Doudna camp has been fighting that decision ever since, gathering evidence and testimony on who was the first to invent this new gene editing technology. A large part of the patent dispute hinges upon whose work first described a gene editing system that worked not just in test tubes or prokaryotic cells, such as bacteria, but also in eukaryotes—that is, more advanced life forms. @MIT, Zhang’s described in September a new enzyme—the molecular scissors used to snip the DNA—called Cpf1 that, they say, when used with the CRISPR editing system could get around some of the problems with the Cas9 enzyme. If PTO will declare the interference Doudna and Zhang might have to “take the stand, or at least testify under oath in a deposition. CRISPR patent dispute between the Doudna and Zhang camps is being fought under old PTO rules, thanks to an overhaul of American patent law in 2011. Under the old rules, the first person to prove his or her invention was rewarded with a patent. Under the new rules, the patent goes to whoever is first to file an application. Because of the slow pace of putting laws in place, the CRISPR case will be settled under the old rules, likely making it the last great “first to invent” fight in U.S. patent history. The PTO must approve a settlement — if no settlement takes place, the outcome of the interference can be appealed up through the U.S. court system. In other words, the biotech patent fight of the century might feel like it lasted the better part of the century. There is great promise, too. Several companies with licenses to the competing Doudna and Zhang patents—and with other IP in their portfolios—are racing to move CRISPR-based therapies into clinical trials to treat genetic disease. The CEO of Cambridge, MA-based Editas Medicine—which has license to the Zhang patents—said in November that her company hopes to have a treatment for a rare form of blindness in the clinic by 2017.